Few people realize the garage door experiencing problems can be linked to the photo eye. With the photo eyes generally being the largest source of trouble, the issue involves the automatic reverse mechanism. There are quite a few things that can cause this issue, when you try to close the garage door, either coming in or going out, only to have the garage retract and reopen when it is about halfway down. Where this problem can be frustrating, it is usually an easy fix you can often handle on your own. Today, we at United Garage Door Repair of Henderson would like to touch on the photo eye of your garage door. How Do a Garage Door Photo Eyes Work? 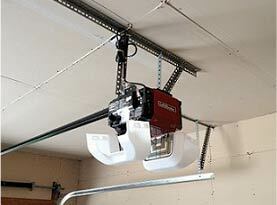 When it comes to garage doors and openers, safety is a major priority. 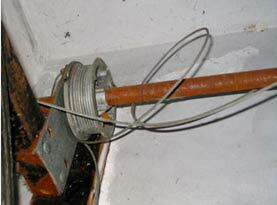 When the safety protocols are not in place or there is a malfunction, they can cause serious harm or damage. Throughout North America, all of the garage door openers sold are required to have an automatic reverse safety system since 1993. This was enforced due to the garage doors that continued to close on people and pets, resulting in severe injuries and even fatalities. Placed about six inches off the ground to either side of the door, the photo eye reversal system makes use of two units. They are generally attached to the tracks and are connected with the opener motor. From one of the devices to the other between the garage door opening is an invisible beam. 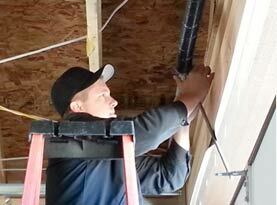 When the garage door is trying to close, and anything interrupts the beam, the garage door will retract and open. Garage doors are also equipped with a second system for automatic reversal that is a simple mechanical system. The door will reverse direction and open back up should there be an object or a person or pet that is beneath the door and is hit with the bottom section of the door while it is closing. To ensure it is working properly, place a 2×4 and place it beneath the garage door and close it, if the system is operating correctly, the garage door will open when it makes contact. If the photo eyes are not working, more often than not, they have become misaligned for some reason. Perhaps they have been bumped by mistake for example. A clicking sound, or a blinking light signifies an issue with the photo eyes, as ell as the door not closing properly. The Photo Eyes Fix: As mentioned earlier, the fix is typically simple. Make sure the beam is in the correct position and the photo eyes are aligned. Determine which eye is not aligned and adjust it back into place. The light will stop blinking and the clicking sound will stop when it is in the right place, depending on the type of garage door opener you have. Make certain the photo eyes are properly secure to the wall with their metal brackets. Clean the lenses also. 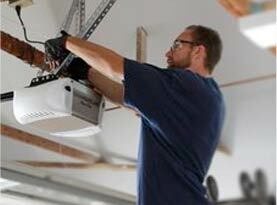 Test the garage door and make sure it is properly fixed. When this does not work, or you are experiencing problems with the garage door, call in the professionals of United Garage Door Repair of Henderson and let our talented technicians get your garage door working efficiently.